Hot Wheels AcceleRacers is an animated series of movies by Mattel. The show takes Mattel’s Hot Wheels toy cars and puts them in a ReBoot-like situation, with racing somewhat reminiscent of Tron. 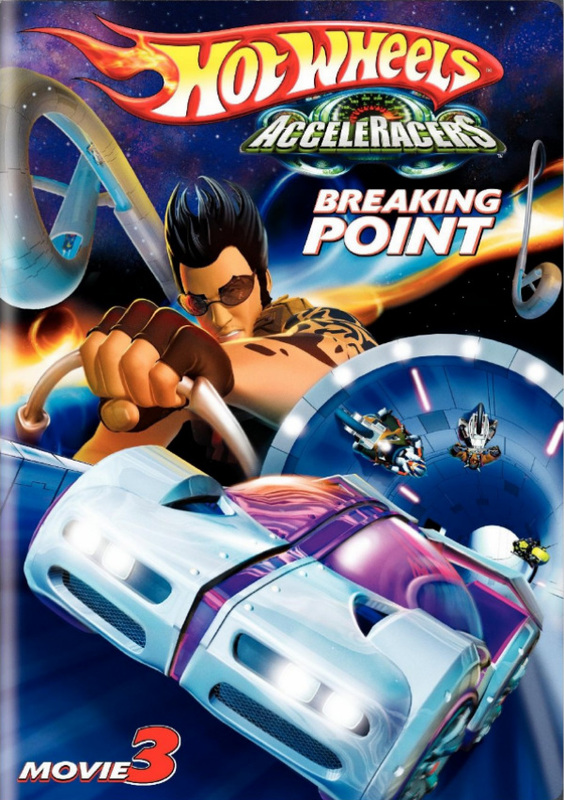 The above is the poster for Hot Wheels: AcceleRacers – Breaking Point, the third film in the series. Three fonts have been used for the film title: the “Hot Wheels” part is very similar to Heavy Heap designed by Typodermic Fonts; the “AcceleRacers” part is very similar to Impact by Geoffrey Lee, and the subtitle “Breaking Point” is set in Delta Bold Italic by Gustav Jaeger.